I'm only halfway done with my shopping and with Christmas right around the corner, I'm finding myself in a bit of a tight spot and I'd rather do all my shopping (if at all possible, sorry guys :P) under one brand or one roof in one day. 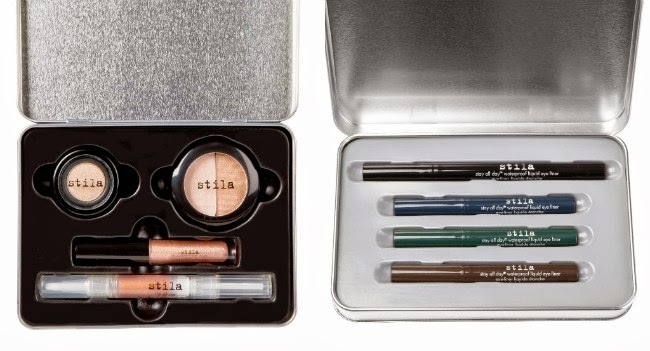 Stila's Vintage Artistry Collection for Holiday 2013 is a great option that I'm sure every tween, teen, woman will appreciate...(or gift it to yourself for all the hardwork you've done this year.) Great price points too. Masterpiece Series Eyeshadow/Blush set P2750 (set of three + lookbook/instruction manual) - Packaged to look like a retro book series. Each palette corresponds to all our favorite make-up looks: ie. smokey, natural or switch things up for a unique look. Series is divided into three looks: The Minimalist, The Impressionist and The Modernist. Includes a total of 15 wearable eye shadows and 3 universally flattering shades of blush. Portrait Of A Perfect Pout P845 - comes in a neutral or vibrant palette. Has all the colors you will ever need to match any outfit with the price of just a single tube of lipstick! 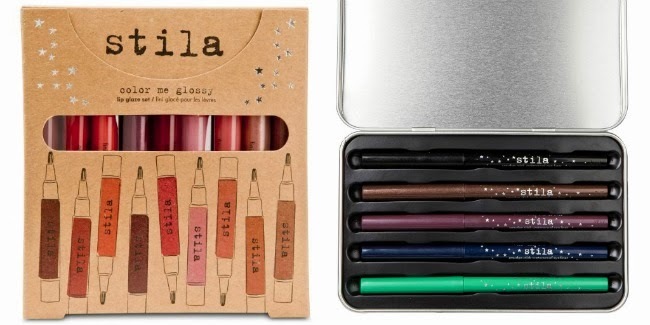 Stila's Kitten Set P3250 - contains everything you will ever need in Stila's iconic shade, Kitten. Comes with eye shadow, gloss, lip glaze and all over shimmer duo. An old favorite of mine...Color Me Glossy Lip Glaze Set P1750 - comes in a box of 9 that's divided into three. Give in its entirety or break it up for perfect stocking stuffers...one of the best lip glosses I have ever tried. Check out these plus more at all Stila counters located at The Beauty Source in all Rustans Department Stores nationwide.